The New Haven Chargers, NCAA Division II, play in the NE10 Conference. 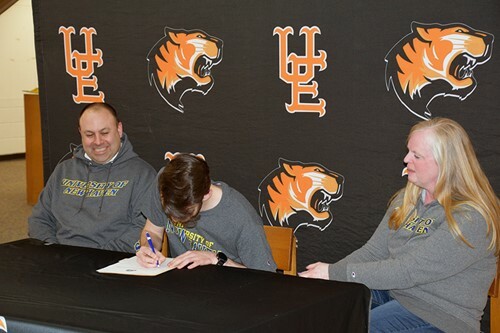 Zach’s accolades include a personal best 5:00.87 1600m, four straight Conwicke-Stock titles, multiple invitational titles, and the divisional title in 2017. Zach has 12 varsity letters as a U-E student-athlete. His parents are Katie and Chris Tatar. Zach plans to major in criminal justice.